THIS GORGEOUS HALF DUPLEX IS READY TO BE YOUR HOME! Highlights include; ceramic flooring, wide plank laminate, granite countertops, custom made window coverings, neutral color tones that making accessorizing easy & an open floor plan that’s perfect for entertaining. The floor to ceiling tiled gas FP will capture your attention in the living rm, while the kitchen offers a great color scheme w/classic espresso cabinets & crisp white tile backsplash, S.S appliances & large center island. A dining nook offers easy access to the backyard & a 2pc bath is tucked away from the living rm & kitchen. 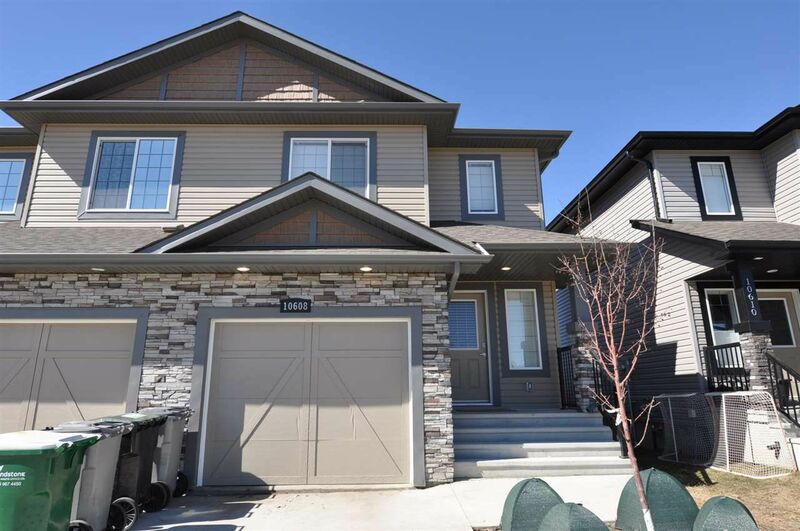 Upstairs you have 3 nice-sized bdrms, including a master w/walk-in closet & full ensuite. PLUS, the laundry rm is conveniently located on the upper level as well. The basement is partly finished & offers a 4th bdrm (needs flooring & ceiling), space for a family rm & is roughed in for a bathroom. The backyard features a deck w/wooden louvers & gazebo for added privacy. Located close to walking trails, schools and parks!